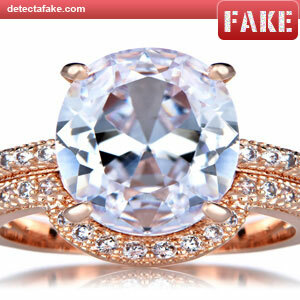 The jewelry market has been flooded with synthetic diamonds over the last several years. 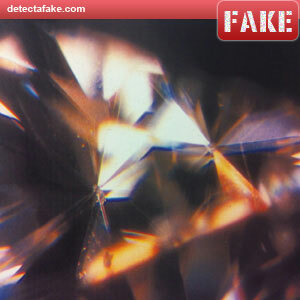 Below are some photo examples and quick tests so you can spot the fakes. 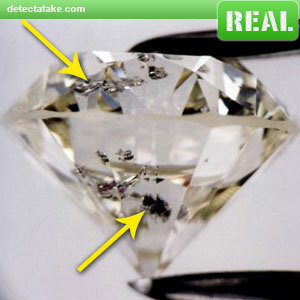 The above pictures are real diamonds. Notice the flaws (called inclusions). 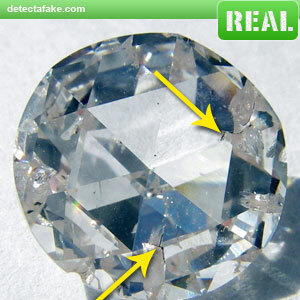 To examine the stone you will need a jewelers loupe (x10) (magnifying glass). Place the stone in front of the light and you will be able to see the inclusions. Look for scratches. 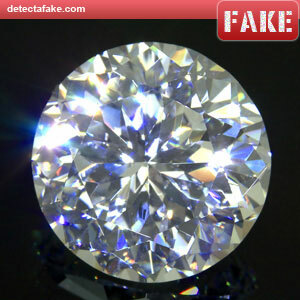 While real diamonds acquire scratches, chips, dents, over time, other materials show the wear and tear much faster. If you see visible scars, be on alert. Above are some more examples of inclusions. Keep in mind, all diamonds have inclusions, some less than others but ones with almost no inclusions are very rare and very high priced. Above are examples of "Cubic Zirconia". Notice the lack of inclusions. You generally will find no flaws with CZs unless they have wear or scuff marks. 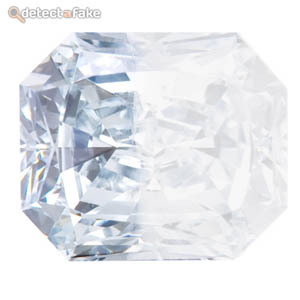 Marks like that on the outside of the stone is another red flag because real diamonds are much more durable and will not scratch. 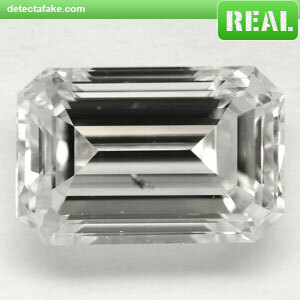 If your stone passes the Fog Test, you will want to confirm that it is a real diamond and not a moissanite. 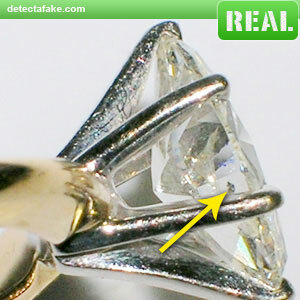 Using magnification, look at the gemstone through one of the bezel or star facets on the crown. If the stone shows doubling, which means it looks like there are two of each facet line, then it is probably a moissanite. If you see only one of each facet line and it passed the heat test then it may be a natural diamond. Probably the easiest quick test is the "Breath Test" or "Fog Test". Very low tech but it works because diamonds are efficient heat conductors.